The National Film and Sound Archive of Australia (NFSA) will present the Irish Film Archive (IFI) with a copy of Ireland Will Be Free (Bert Cross, 1920), a documentary about the St Patrick’s Day celebrations in Melbourne, commissioned by Irish-born Archbishop Daniel Mannix. The handover ceremony will take place on 29 June at the Irish Film Institute in Temple Bar. Ireland Will Be Free was produced by the Melbourne Catholic Archdiocese, which donated the fragile original components to the NFSA in the 1990s. This year the NFSA digitally restored the film, which premiered in Canberra in March. The restoration of Ireland Will Be Free was partially supported by the Irish Government’s Centenary of 1916 culture fund, and facilitated by the Irish Ambassador to Australia, Mr Noel White. For more on Ireland Will Be Free, see the press release from IFA. In July, fishermen in Faxaflói Bay, off the southwest coast of Iceland, discovered a box of old films tangled up in their lobster pots. The mystery reels were handed over to the National Film Archive of Iceland (NFAI), where the negatives were dried and found to be in surprisingly good condition. Erlendur Sveinsson, the director of the NFAI, posted several frames on social media in the hopes of identifying their provenance. The effort paid off. A Russian man living in Iceland remembered seeing the images as a child. They belong to Derevenskij Detektiv (Countryside Cop), a film produced by the Soviet Union in 1969. Thereafter, the Russian Embassy sent an inquiry to the film archive in Moscow and the International Federation of Film Archives. No one knows how or why the copy of this film ended up on the bottom of the Atlantic Ocean. Read more about this discovery here. The English writer and filmmaker Peter Whitehead, who documented London’s swinging sixties, has donated his personal archive to De Montfort University’s Cinema and Television History Research Centre. Whitehead worked closely with The Rolling Stones, Pink Floyd, and Jimi Hendrix and was an active participant in the counterculture movements that defined London and New York in the 1960s. For further details on the acquisition, read more here. Universal Pictures recently completed its restoration of The Last Warning (Paul Leni, 1929), a horror film about an unsolved murder. The restoration premiered on 4 June 2016 at the Castro Theater as part of the San Francisco Silent Film Festival. Beginning in March 2015, Universal’s restoration team conducted a worldwide search for The Last Warning’s available elements. After extensive exploration, a 35mm nitrate dupe negative was located at the Cinémathèque française, and was loaned to the Studio. This French negative became the base element. In order to obtain the English title cards, Universal turned to a 16mm English print from the Packard Humanities Institute Collection in the UCLA Film & Television Archive. Universal’s restoration team then replaced the French title cards with the English. In 2008, after an eight-year court battle over land ownership, the Sudanese government demolished the film studio founded in the 1970s by legendary filmmaker Jadallah Jubara. Following the demolition, Jubara’s daughter, Sara Jadallah, committed herself to preserving her father’s catalog of films. 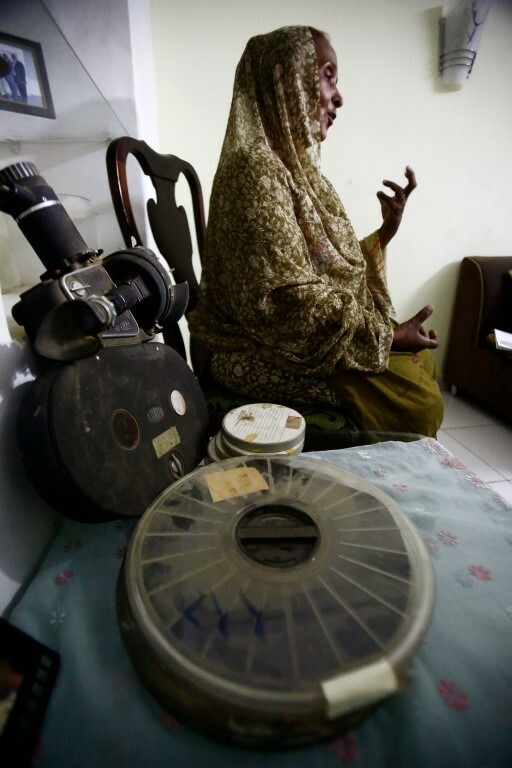 When the project is complete, it will be Sudan’s first private archive of 15mm and 35mm films. An officer in the British army, Jubara began work as a projectionist in a British mobile film unit shortly after the Second World War. He went on to capture iconic moments in Sudan’s history, including the hoisting of the flag as the country gained independence from Britain in 1956. He produced more than 100 documentaries and four feature films in a career spanning more than five decades. Jubara’s documentaries include films on Darfur and his early films preserve a snapshot of Sudanese society before the 1989 coup. The project has received backing from Germany’s Arsenal Institute for Film and Video Art and the German embassy in Khartoum. See The Guardian for more on the project. The 1960 film noir Private Property (Leslie Stevens) had been lost for four decades when a duplicate negative of the film was discovered among a collection of works acquired by the UCLA Film & Television Archive. When the film was originally released, it was widely panned by critics, which severely limited its theatrical run. Cinelicious, a Los Angeles digital production and restoration house, recently completed the restoration and digitization of the film. Later this year, it will be available on Blu-Ray and select streaming platforms. For more on the restoration of Private Property and its redistribution schedule, see here. 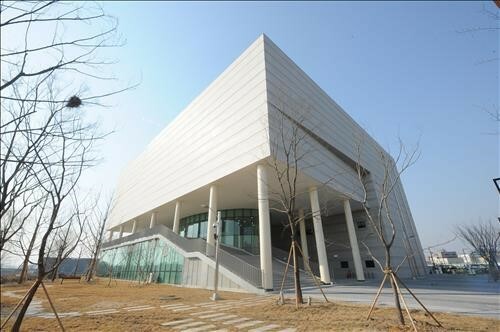 The Korean Film Archive (KFA) recently opened its second film preservation center in Paju, some fifty kilometers northwest of Seoul. The new center will further expand the archive’s efforts to restore and preserve South Korea’s moving-image history. The facilities are equipped with a film preservation vault and the country’s first film development room for digital restoration of analog films. To celebrate the launch of the Paju center, the KFA unveiled its digitization of O Bal Tan (The Aimless Bullet) (1961), directed by the late Yoo Hyun-mok and starring Kim Jin-gyu and Choi Mu-ryong. The film depicts the fall of a family due to economic hardship and is a widely-acclaimed example of early realism in South Korean film production. Learn more about KFA’s new center and O Bal Tan here. The Academy of Motion Picture Arts and Sciences (AMPAS) celebrates the 25th anniversary of the Academy Film Archive with the screening series “Archival Revival – 25 years of the Academy Film Archive” curated from the extensive collection of motion pictures that the archive has restored and preserved. 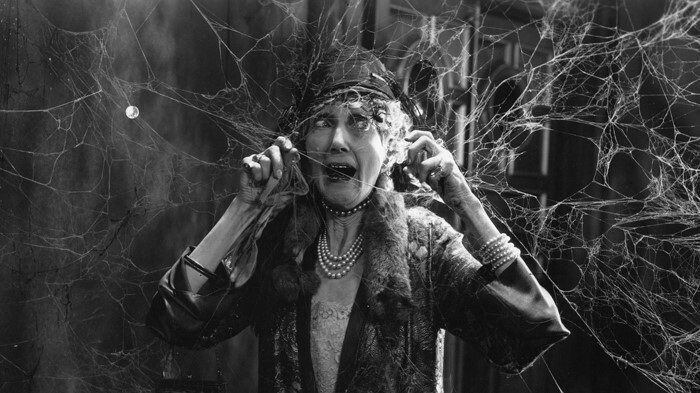 The series, which runs from 18 July through 12 September showcases a broad range of titles and genres, including musicals, documentaries, silent films, Pre-Code comedies, experimental films, and horror classics. In 1991 the Academy’s Board of Governors committed to creating an archive for the preservation, restoration, documentation, and study of motion pictures. The Academy Film Archive currently holds more than 190,000 elements, including trailers, feature films, and the film collections of such artists as Alfred Hitchcock, Penelope Spheeris, James Wong Howe, Albert Maysles, and Su Friedrich. It also holds the collections of such institutions and programs as the Japanese American National Museum, Los Angeles Latino International Film Festival, and the Student Academy Awards. 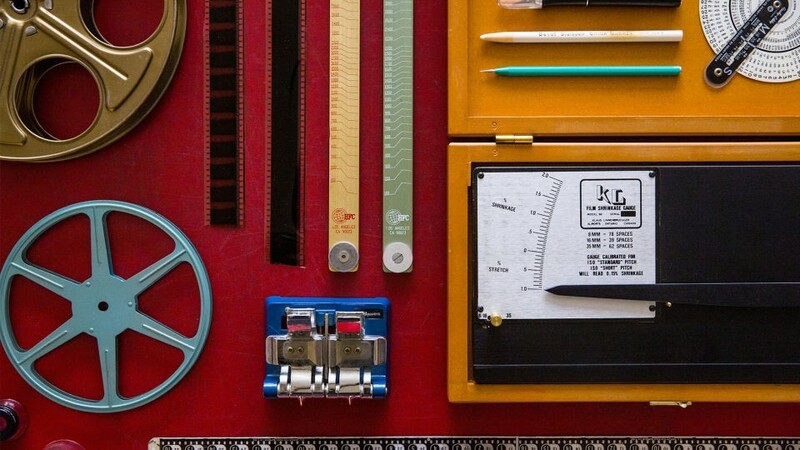 Take an inside look at the Academy Film Archive here and view its restoration work here. In July, the Hong Kong Film Archive (HKFA) opened “Sketches in Motion: Storyboards of Hong Kong Cinema,” an exhibition showcasing the visual processes of film production. The exhibition includes over 130 sheets of storyboards and concept illustrations from Hong Kong cinema. Film footage, along with videos of interviews with storyboard artists, directors, cinematographers, and action choreographers will also be shown. Two seminars accompany the event. The first, entitled “On Pioneering Experience: Cinematic Storyboards in the 80s,” features pioneering storyboard artist and production designer David Chan. The second, entitled "Storyboards of Hong Kong Cinema: A Panorama,” will include a discussion with artists Elphonso Lam, Luk Wai-cheong, and Chung Kai-kit. Read more about the events here. 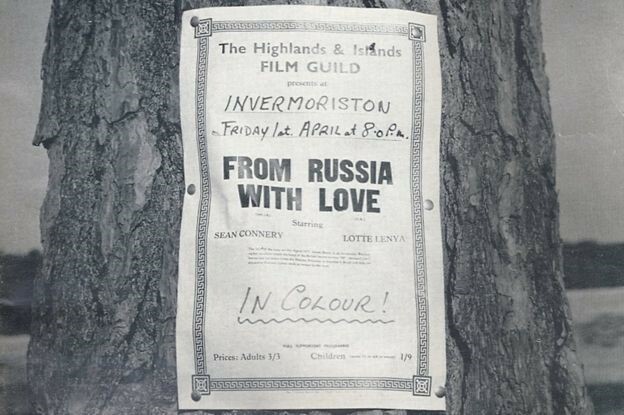 A new archival cinema project began its tour of Scotland this summer. “Made On Our Land” features material from the National Library of Scotland Moving Image Archive. The films include one made by an Aberdeenshire mother and daughter that documents farm life around Aboyne and another that shows 1960s holidays to Islay. There are also World War Two propaganda films and a post-war film made to dissuade Highlanders from leaving their home area to live and work in cities. Using a mobile cinema, “Made On Our Land” began its screening tour in Arran on 22 July before visiting Aboyne, Benbecula, Castle Douglas, and Peebles. The festival also coincided with the FIAF Film Restoration Summer School. For detailed accounts of the festival, see here and here. For a complete program, see here. The FIAF Cataloguing and Documentation Commission (CDC) recently announced the publication of The FIAF Moving Image Cataloguing Manual. According to its publishers, the manual is the result of many years of labor and collaboration with numerous professionals in the moving image field. The manual also offers more than a revision of “The FIAF Cataloguing Rules for Film Archive,” which was published in 1991. The new manual addresses recent changes in information technology and adheres to existing and emerging metadata standards. Although it is specialized in focus and draws upon modern archival concepts and standards, the manual is designed to be compatible with a variety of data structures. It provides charts, decision trees, examples, and other tools to help experts and non-experts alike in performing real-world cataloguing of moving image collections. The nonprofit Media Burn Archive recently celebrated its tenth year as a non-profit organization dedicated to video preservation. Developed and pioneered by Tom Weinberg, the Media Burn Archive has, since its inception, collected, restored, and digitized more than 7,000 such videos from a variety of non-digital sources. Its online collection of more than 3,000 titles has generated more than thirteen million global views. The Media Burn Archive was founded with Weinberg’s own vast personal collection. It includes 300 episodes of his iconic Image Union, which has showcased the work of Chicago independent filmmakers since 1978--and remains on the air. 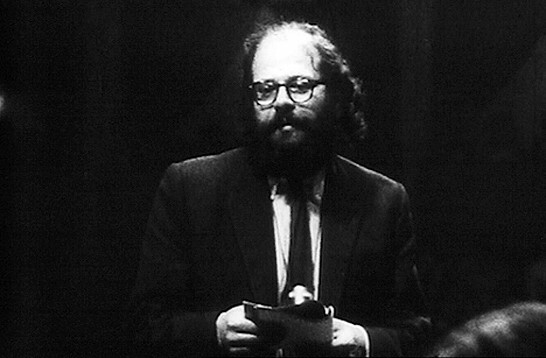 Weinberg produced the first eleven seasons of the show. Media Burn Archive is largely supported by grants from the National Endowment for the Humanities and the Gaylord and Dorothy Donnelley Foundation and individual contributions that are used for specific archival projects. Other funders include the National Endowment for the Arts, National Historical Publications, the Richard H. Dreihause Foundation, the Illinois Arts Council and the Chicago Dept. of Cultural Affairs and Special Events. Read more about Media Burn here. The company also announced, in a separate release, that it would be making strategic investments to ensure consistent and quality film services in production hubs and major markets. The company will open and operate a motion picture film-processing lab in New York City later this year, which will service 35mm, S16, Super 8 film processing and scanning. Kodak is also working with partners to further sustain film processing capabilities around the world. In London, Kodak is making investments in introducing 65mm film processing in a region that has seen a significant increase in major productions shot on film. Kodak will also continue to invest in upgrades to its film plant in Rochester, N.Y., in order to meet growing demand for motion picture film. 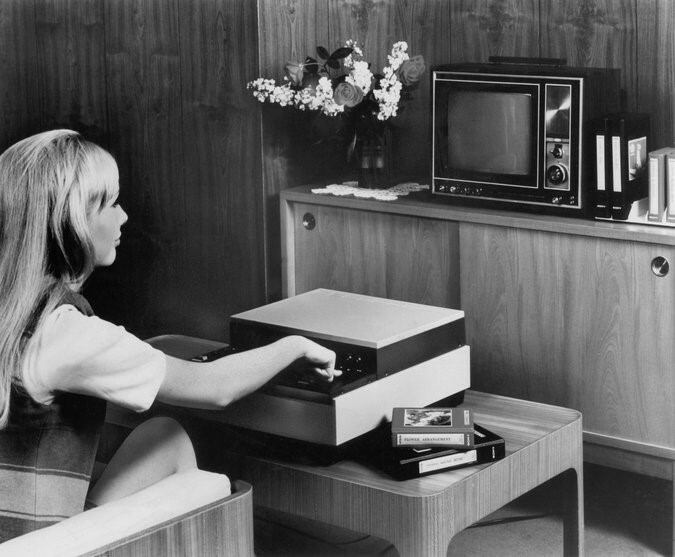 These announcements, in the company’s view, reflect a global analog renaissance, a resurgence in “retro-tech” media from vinyl records to printed books to film. Funai Electric, the last remaining manufacturer of VHS VCRs, recently announced that it will cease production of the players at the end of this month. Read more about the end of this era here, here, and here. Blade Runner - Autoencoded: Full film from Terence Broad on Vimeo. Read more about Broad’s project, neural networks, and autoencoding here and here.